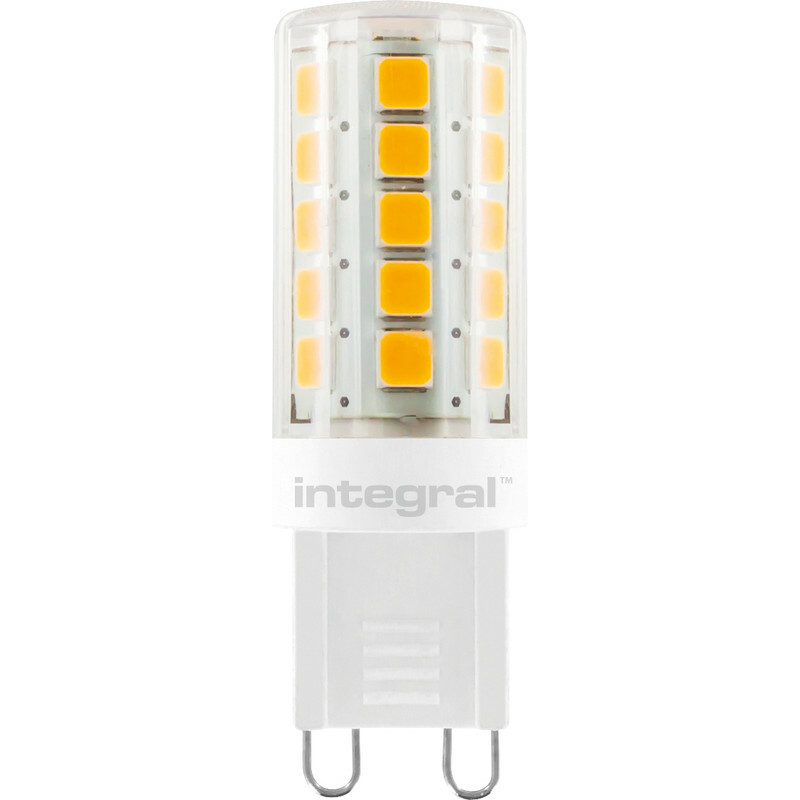 Integral LED G9 Capsule Dimmable Lamp 3.0W Cool White 300lm is rated 4.7 out of 5 by 7. Rated 5 out of 5 by Tom Cruise from Good so far! Brought this a couple of months ago and seems to dim well! At first I was worried about an LED bulb being dimmable but I can say for sure they do work with no flicker what so ever! How long they will last, is unknown only time will tell but going to definitely buy more for backup. Rated 3 out of 5 by Jesse O from Returned Fitted lamp holder fine but casing to big to allow me to fit the cover so had to return it. Rated 5 out of 5 by Bob F from Perfect replacement for original halogen bulbs Recently purchased two bedside lamps for use by visitors, including our young grandchildren. They were supplied with 25w halogen lamps. These are exposed and get quite hot. The LED bulbs work fine on the three dimmer settings, don't get dangerously hot and are not so long that they protrude from the lamps. Save energy too!